If you want as much health and magic as you possibly can in Onimusha: Warlords, you’re going to need to seek out Jewels. 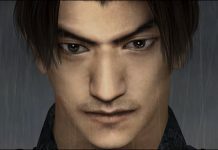 There are ten Jewels to find throughout Onimusha: Warlords: five Power Jewels that increase your maximum health, and five Magic Jewels that increase your pool of magic power. Some are hidden in plain sight, some are stored away in puzzle boxes, and there’s one that you can very easily miss. Want to ensure you find them all? Follow our guide below and you’ll have a fully powered-up Samanosuke by the end of the game. Just after you receive your first Magic Orb in the game, there’s a locked chest next to a save point. When you interact with it, it will pose you a question. The answer is the first, third and sixth options from the left. Once the chest is opened, you’ll receive your first Power Jewel. Just before you fight Onimusha: Warlords’ first boss you’ll find another save point. There’s another locked chest too, posing you another question to open it. The sixth, first and fourth options from the left are the answer. Your second Power Jewel lies inside. On the third floor of the Keep, one of the rooms has a hanging bucket in it. Examine it for your third Power Jewel. If you accidentally slash at the bucket with your sword it will drop, but don’t worry, you’ll still be able to get the Power Jewel that’s inside. You’ll acquire it later in the game, that’s all. When you’re exploring the Keep, you’ll come across a strategy room with a hidden door. It’s near the door that you need two crest pieces to open. Behind the strategy room there’s a corridor in which you’ll find a chest that contains the fourth Power Jewel. Onimusha: Warlords’ last Power Jewel is at the top of the tall building in the East Area of the Keep. Make your way to the very top and then step onto the roof. You’ll find the fifth Power Jewel near a dead body. Just after you exit the Underground Temple via the moving statue, look for a chest on the right. Open it and you have your first Magic Jewel. It’s pesky this one as it’s a bit hidden by foliage. Be careful, as this one is missable. As you make your way through the Keep, you’ll eventually find yourself on the second floor overlooking the entrance. 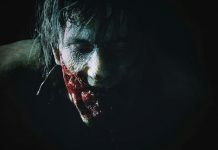 There’ll be two living soldiers being attacked by a couple of undead soldiers. Whatever you do, don’t leave the room until you’ve killed both of the undead soldiers with your bow. You’ll probably need to use free aim to do so. Once you’ve rescued the soldiers, they’ll drop some goodies, including your second Magic Jewel. Onimusha: Warlords‘ third Magic Jewel lies in yet another chest locked with a question. You’ll find it in the West Area, just before the door that requires gold and silver plates to open. The answer that opens the chest is the fifth, first and second options from the left. The fourth Magic Jewel is in the same large tower as the fifth Power Jewel, in the East Area. As you’re climbing the tower, you eventually reach a ladder. Open the chest near the ladder to get the Magic Jewel. 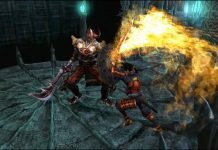 As you reach the end of Onimusha: Warlords, you’ll find the last Magic Jewel in a small structure just after you pass a waterfall. There’ll be a save point, and yet another chest locked with a question. The answer you need is the third and sixth options from the left. Yep, you only need two for this one. So that’s it. 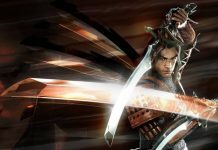 All of the Magic and Power Jewels you can possibly find in Onimusha: Warlords. But remember, once you have them in your inventory, don’t forget to use them when you’re playing as Samanosuke – they don’t increase your health and magic automatically!